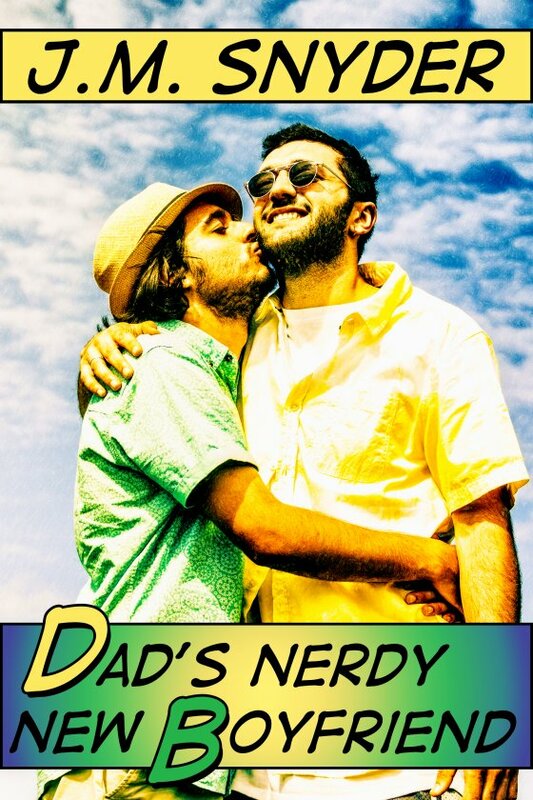 My latest story Dad’s Nerdy New Boyfriend is coming next week! When website designer Rick Pruitt takes his eight-year-old son Micah to see the latest Pokémon movie, he expects to be bored out of his mind. What he doesn’t expect is to fall in love with the guy ahead of them in line. Self-confessed nerd and Harry Potter look-a-like, Marty Owens runs a comic shop downtown. Marty needs a new website to help grow his business and Rick needs a guy he can eat cozy meals with, snuggle up to, and … But no matter how many of Rick’s boxes Marty checks, there’s still Micah to consider. Fortunately Micah and Marty hit it off, connecting over a love of video games and all things Pokémon. Rick starts coming by the comic shop after hours to work on Marty’s website. Can they also build something long-lasting and meaningful offline, too? “I want to go on a date, too!” Micah crowed. Micah’s pout was back, and he stormed away a few steps before he remembered he was heading off to see his favorite movie ever — his words, Rick hoped the film lived up to them — and began to race for the woman taking tickets. Suddenly Rick found himself alone with Marty, and an awkward silence descended upon them. He shoved his hands into his pockets and rocked back on his heels, wondering if they would have anything to say to each other without his son to run interference between them. Think, he told himself. You can flirt. Say something witty. Only nothing came to mind. For the first time in forever, Rick was drawing a blank. “It’s not his number I want,” Marty admitted. Rick raised an eyebrow in silent question. Rick felt a gurgle of unease in his stomach. Seriously? They had just met — was Marty expecting free advice just because he and Micah had hit it off?